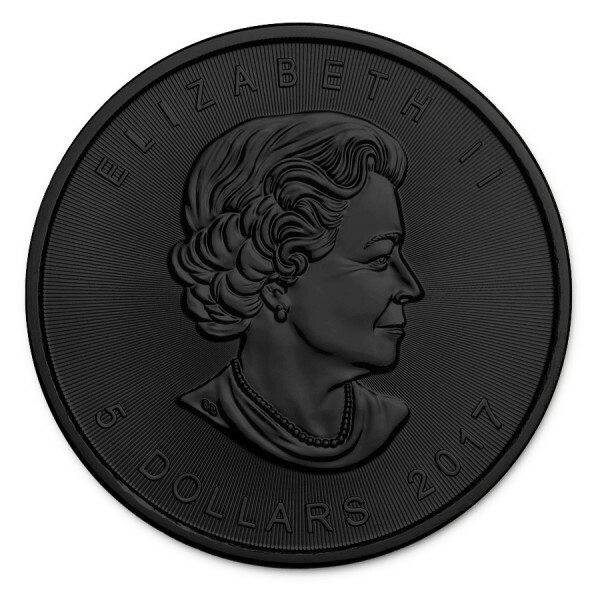 Canadian Silver Maple Leaf are the one world's most recognized piece.The obverse depicts the likeness of Queen Elizabeth II, and the reverse showcases the signature Maple Leaf so closely associated with Canadian nationalism and reflective of Canadian pride. 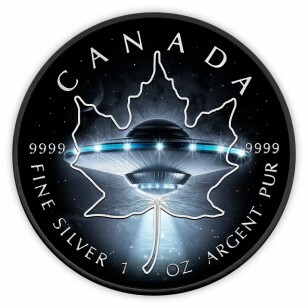 Minted in .9999 fine Silver, Canadian Silver Maple Leafs are among the purest of all Silver dollar-size pieces. 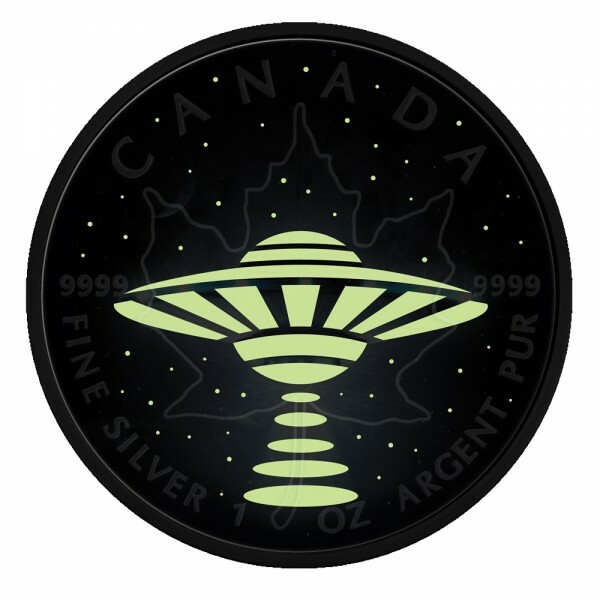 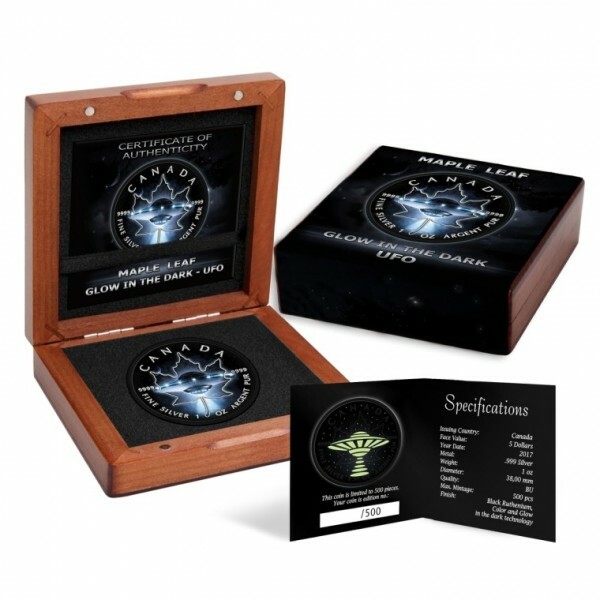 This beautiful 1oz Silver piece is dedicated to the mysterious and unknown UFO world and features an incredible Alien spaceship over Canada’s famous Maple Leaf.